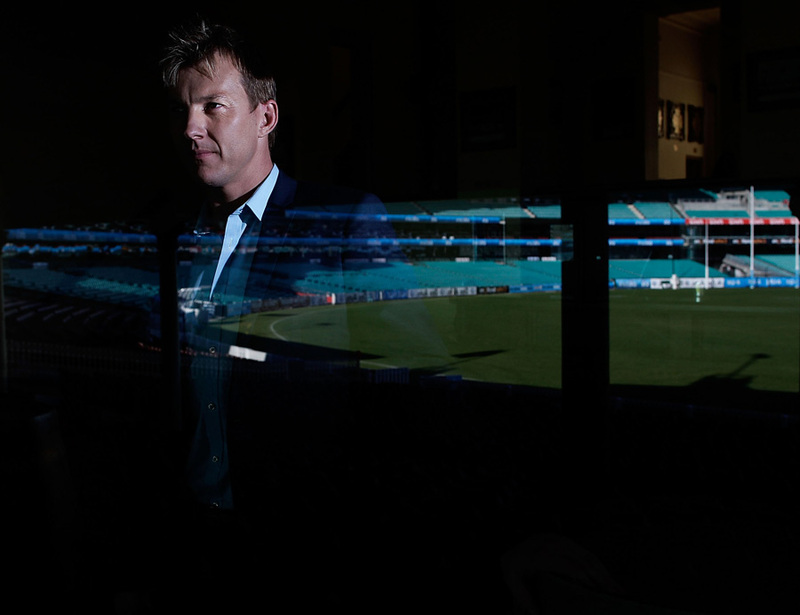 When Brett Lee announced his retirement from international cricket recently, it brought to end one of the finest careers a modern fast bowler could ever hope to have, taking into account all the injuries and breakdowns associated with it. A career which included being part of a World Cup win and three Ashes triumphs, and in one where he ended up with 718 international wickets, and leaving as international cricket’s tenth leading wicket taker of all time. Despite several injuries throughout his career, including some which kept him out of the 2007 World Cup and 2009 Ashes, he stayed resilient enough to trouble the best batsmen through a 13 year career. Most importantly, his retirement brought down the curtains on the career of one of that rare breed of sportsmen: a player who is respected by the opposition and loved by opposition fans. There are lot of pace bowlers on the international circuit, but there are very few who put the ‘fast’ in fast bowling. Lee was one of the few bowlers who consistently bowled at the same frightening speeds throughout his career. He never compromised on pace, which made him a terrific player to watch when in full flow. Along with his signature high jumping and heel clicking celebrations after taking a wicket, he was a true entertainer who had the performances to match. This combination of an exciting player and wonderful human being is what makes Brett Lee so special. He entered the scene at a time when the Australian team was on top, but was not generally liked for their abrasive behavior. Slowly, but surely he wormed himself into the hearts of all cricket fans, endearing himself to many as a quintessential fighter who never gave an inch to the opposition but off the field very friendly with many of these same opponents. Of course, just being a nice guy is not going to promise you a successful career. Lee had the skills to succeed in all formats of the game; in Tests, he was an able support to the likes of McGrath and Warne in the early part of his career, and after their departure, he took up responsibility for leading the attack. In T20s, he has contributed more to domestic successes in BBL, IPL and the Champions League; but it was in ODIs where he was a true world class performer. While he was initially profligate in the first half of his career, he soon improved to become one of the best bowlers in ODI history. There are too many memorable moments from Binga’s career to recount here; but two stand out in my memory. One is that unforgettable Edgbaston match in 2005, where despite a defiant unbeaten 43, Australia fell short by 2 runs. The image of Flintoff consoling Lee was a reminder of the spirit which those two competitors shared. It is worth mentioning because it is rarely found these days. The other memory is when later that year, in a series against South Africa, he hit Kallis on the helmet with a bouncer and immediately ran over to him to check if he was alright. Next ball, a yorker crashes into the stumps. That incident showcased everything about Lee: a top human being who was also in complete control of his game. Finally, it leaves the question of what kind of legacy he leaves behind. When he made his debut, he joined a bunch of ruthless star performers who maintained Australia’s hold on the top ranking. Now, he leaves behind a team struggling to fight its way back to the top. Still, if there is one positive going for the Aussies now, it is the promise displayed by the likes of Pat Cummins and James Pattinson. If Lee so desires, he can still play a major role in Australia’s resurgence by mentoring the young fast bowlers. Given Binga’s nature, that is not improbable at all. Rohit Sharma: Demand for a DNA Test !